University of Michigan Press, 9780472032730, 344pp. "In this comprehensive biography, compiled from meticulous research and interviews with many of McCorkle's confidants . . . Dahl reconstructs a career distinguished by great promise and great sadness . . . doing her best to address a large, looming 'Why?' that can never be completely answered." 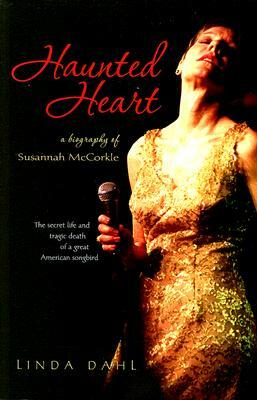 "A compelling, sympathetic but often chilling view not only of McCorkle's complexities but also of the difficult business of music itself and of the widespread always potentially fatal illness now better known as bipolar disorder, which the singer hid from so many, even from herself for many years." Linda Dahl is the author of Stormy Weather: The Music and Lives of a Century of Jazzwomen and Morning Glory: A Biography of Mary Lou Williams. Visit the author’ s website at www.dahljazz.com.